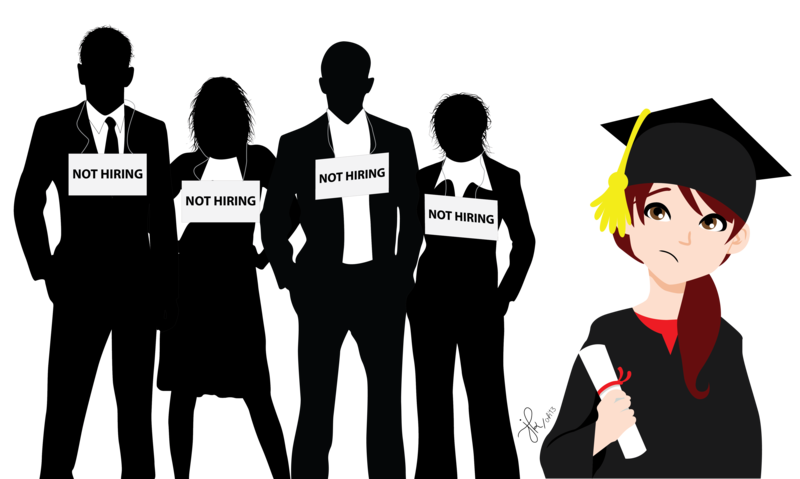 The question of whether universities should find jobs for their students continues to be a popular discussion topic, especially in an age where some students do not expect to find a job too quickly post-graduation. Despite this, Concordia University offers its students several resources that, for the proactive student, can ensure future success. Some of Concordia’s job services include career planning and counseling, career fairs, workshops, mentorships, internship and job directories, and résumé help. However, there is a low awareness level of the resources the university offers its students. A number of students that use Concordia’s services, such as Macey Dames, have had positive experiences. “At JMSB, I’ve used the Career Management Services (CMS) services. The counselors are very knowledgeable in their respective fields. I would definitely recommend CMS as a resource to other students,” she said. However, some students aren’t informed about the services. “I am pretty unfamiliar with any career resources offered to me. I would certainly consider using them if I was more aware,” said film student Ryan MacDuff. In addition to the services offered by JMSB, Concordia’s Counseling and Development department has four drop-in centres, where students can get advice. Additionally, Concordia’s Career Placement and Services (CAPS) offers counselling on writing résumés, cover letters and proposals, interview preparation, advice on looking for a job, as well as hosting a job bank and career workshops. These are resources students should definitely take advantage of. Not all students feel the same way about the university’s role in helping them find work. Recent English literature graduate Bianca Bourgeois said she doesn’t expect the university to help her once her studies are completed. “I consider universities as places in which to gain knowledge and conduct independent research. If my ultimate goal was to find a job immediately following graduation, I would have chosen a different field of study,” she said. It is fair to say that students are responsible for their own success. The university should not be held accountable for providing students with jobs, although the job hunt does require a certain degree of knowledge, which is offered to those that are eager to learn about their industry and employment prospects. Aside from these services, students should maximize their time by networking with professors and their peers through classes and clubs. Many students feel unprepared for the work force since they lack “relevant” work experience, but getting involved in extracurricular activities fosters valuable skills that deserve (and will often get) recognition. For students wanting hands-on work experience in their industry during their academic careers, co-op might be a viable option. The Institute for Co-operative Education simultaneously helps students gain work experience, a better idea of their desired career path and some capital to help finance their education. Co-op is offered in approximately 35 programs (not including the Industrial and Professional Experience initiatives), with more to be added soon. Students forget that preparing for the post-graduation job hunt doesn’t start when we leave school. It begins while we are university students, where we can take advantage of all that is offered to us by the institution and the interesting people we meet, and when we take the time to try new things and learn more about ourselves. Attributing responsibility to the university for the decisions we do or don’t make, for the prospects we do or don’t pursue, is an easy cop-out to shift the blame over to someone else. For more information on services at the school, visit www.concordia.ca.